To protect your air conditioner from damage due to power outages and power surges, you need the V-Guard VG 500 Voltage Stabilizer. This voltage stabilizer has been specifically designed for ACs and can be easily mounted on the wall to make sure that it isn’t a hassle. Moreover, the V-Guard Voltage Stabilizer for Air Conditioner is compatible with Air Conditioners that are up to two tonnes in size, making sure that it can protect most air conditioners that you use. 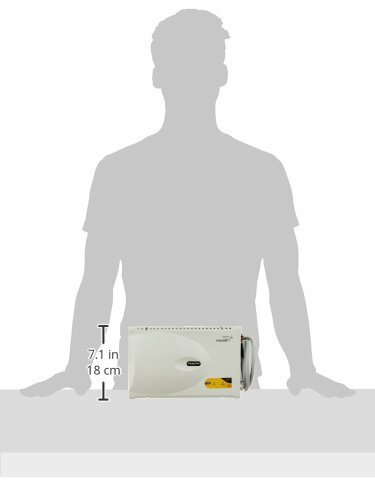 The V-Guard VG 500 AC Stabilizer offers protection from both under volt as well as over volt situations, making sure that your AC is never harmed and can keep serving you for years to come. 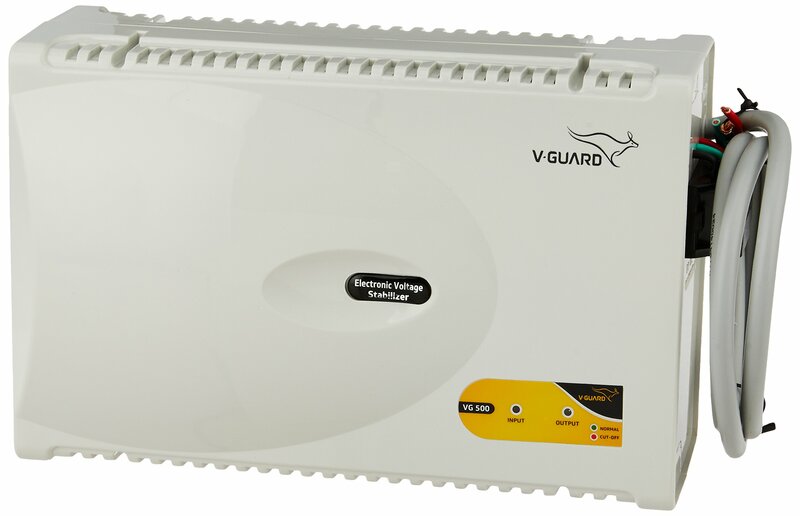 The V Guard AC voltage stabilizer has been built using the latest in IC technology, allowing you to never have to worry about the safety of your air conditioner. As a voltage stabilizer it also has an intelligent time delay system that adds to the protection of your machine. To ensure that your home and office are safe from accidental fires, the V Guard VG 500 AV Voltage Stabilizer incorporates built-in thermal overload protection making sure that you can sleep next to your family or work with your colleagues in peace without worrying about a fire. So, if you wish to extend the life of your AC, it’s time to bring home the V-Guard VG 500 AC Stabilizer. Compatible with up to two-tonne air conditioners. Easy to Install Wall Mount Design. Newest IC Technology. High voltage and Low Voltage Cut-Off System.